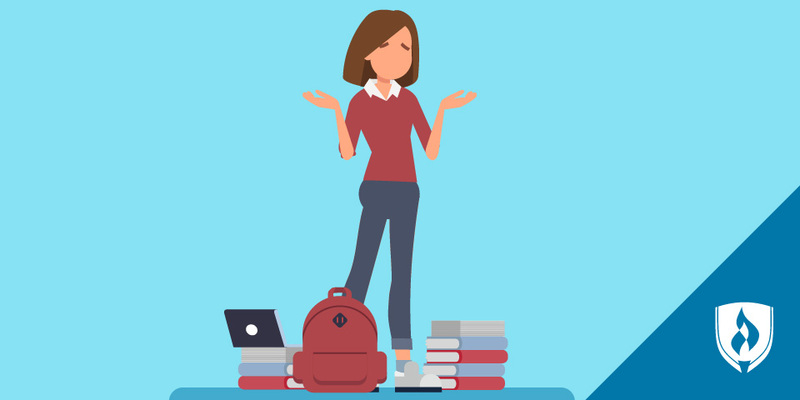 Finding a career that aligns with your skills and interests is ideal, but it’s also important to pursue a career that can provide you and your family with some financial stability. Your passion for health combined with your altruistic nature makes the nursing field especially appealing to you. 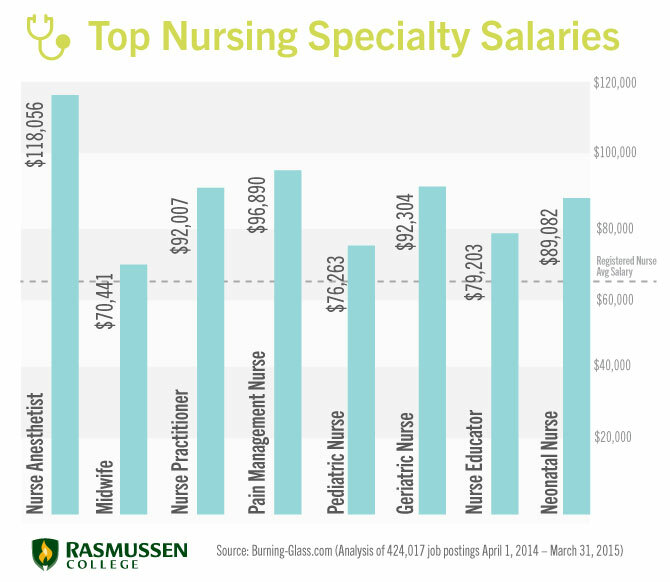 The median annual salary for registered nurses (RNs) in 2014 was $66,640, according to the U.S. Department of Labor. * But what can you do to potential boost your earning potential even more? Specialize! The path to becoming a certified registered nurse anesthetist (CRNA) will take longer than the average nurse’s, but it certainly pays off. These nurses prepare individuals for surgeries or operations by administering anesthesia to patients or aiding anesthesiologists. CRNAs typically work in health care facilities and hospitals but may also work in other health fields such as a dentist’s office. It is the pain management nurse’s (PNM) job to assist patients with acute or chronic pain. After addressing the source of pain, they coordinate treatment and care to help alleviate it. PMNs may also work in a teaching environment, showing patients how to help manage pain, administer medications or by demonstrating different ways to relieve their pain. Geriatric nurses specialize in helping elderly patients. These patients often suffer from diseases and injuries such as osteoporosis, Alzheimer's or cancer. Much of their work is done in nursing homes, but may also take place in patient’s home or hospitals. Nurse practitioners (NPs) promote a comprehensive approach to healthcare. NPs are concerned with the overall health and wellness of their patients. They are qualified to meet the majority of patients’ healthcare needs, with 60 to 80 percent of the care doctors traditionally have performed can be administered by nurse practitioners, according to the American Nurses Association. Neonatal nurses are responsible for caring for newborn infants who are born prematurely or suffer from health problems or birth defects. They work in the neonatal intensive care unit (NICU) of a hospital. Most neonatal nurses care for babies from the moment of birth until they are discharged from the hospital. This nursing specialty is precisely what it sounds like. Nurse educators work in academic settings such as nursing schools and teaching hospitals where they educate aspiring nurses. In order to be a nurse educator, however, you must experience as an RN or within another nursing specialty. Pediatric nurses are responsible for the general care of children in many healthcare settings, with patients ranging from infants to teenagers. This includes administering periodic check-ups to ensure proper health, growth and development. They also treat children and adolescents suffering from illness or injuries. Certified nurse midwives (CNM) provide care for women including gynecology check-ups, family planning services, preconception care and delivering babies. They ensure women remain healthy during pregnancy, have optimal births and experience proper postpartum recovery. You’re now familiar a few nursing specialties that will allow you to be competitively compensated for doing what you love – helping others. But before you can acquire the specialized skills these positions require, you’ll need to obtain a foundation of nursing knowledge and training. Learn how the Rasmussen College School of Nursing can help you get started on your journey toward your chosen nursing specialty.